En couverture : Motif de papier peint Insulin 8.25 réalisé par Robert Sevant en 1951. © Victoria and Albert Museum, London 2016. All Rights Reserved. By studying X-ray diffraction photographs of crystals, scientists could calculate the arrangement of atoms within molecules. The resulting diagrams provided the inspiration for the Festival Pattern Group…. Highlighting the intricacy and beauty of crystal structures, these avant-garde designs stand as a testament to the optimism of the early post-war era and the vibrancy of 1950s design. « The Festival was intended to restore Britain’s faith in itself as a productive industrial nation after the ravages of World War Two, to promote better and more practical design in the rebuilding of the country’s towns and cities, and to celebrate innovation in British architecture, design, industry and the arts. More than 8.5 million people visited the Festival’s newly developed main site on London’s South Bank ­– those that came to dine at the event’s Regatta Restaurant would have been exposed to textile and furnishing patterns that came from a hitherto unexplored source: the molecular-scale images of x-ray crystallography. 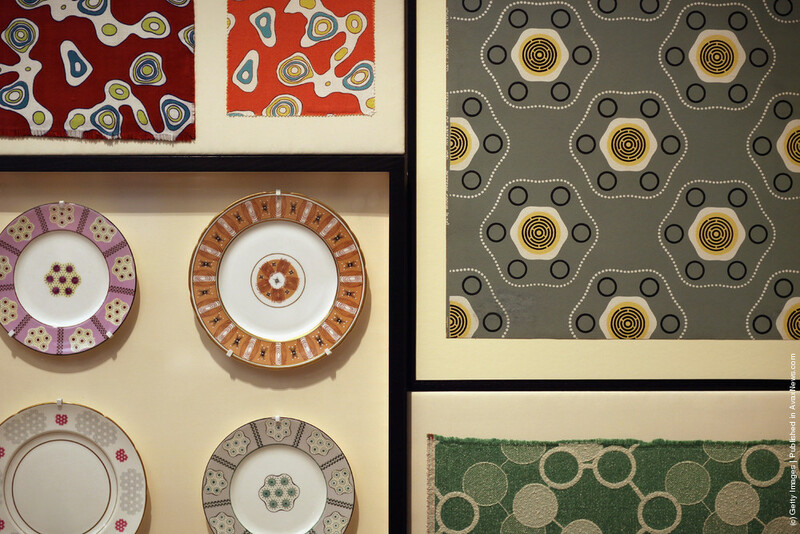 This was the the work of the Festival Pattern Group, a collaboration of 28 manufacturers who came together to combine two of Britain’s most exportable commodities: textiles and crystallographic expertise. Instigated by Cambridge University crystallographer Helen Megaw, who first suggested the potential for molecular imagery as a source of surface pattern, the Group created wallpapers, carpets, fabrics, ceramics, clothing and more – all emblazoned with bold crystallographic patterns, ranging from the atomic composition of beryl to the structure of insulin. 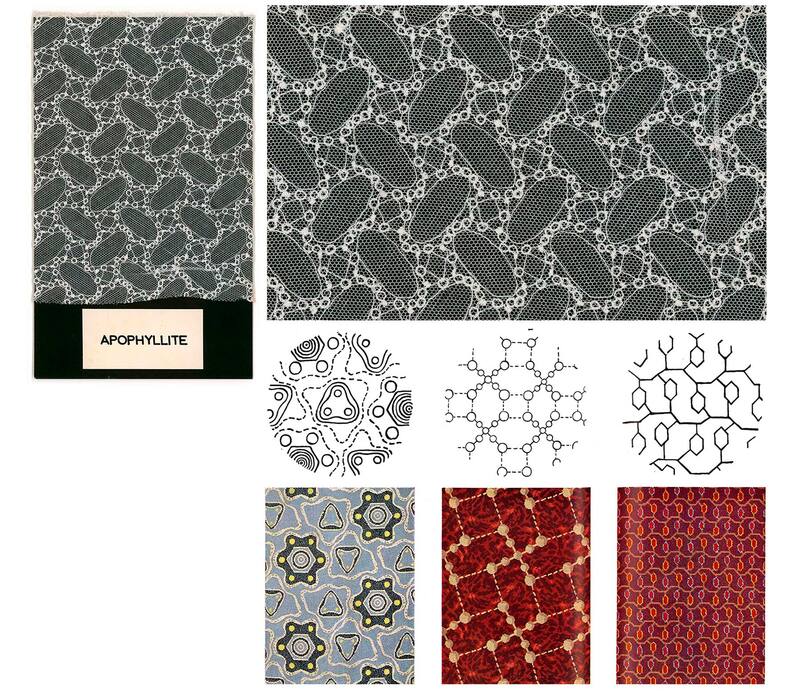 The suite of products created represented the first time science-inspired pattern had been commissioned on such a scale and exposed to such a wide and varied audience.